Within the first few months of 2011, the United States and its allies lost three loyal “friends”: Hosni Mubarak in Egypt, Zine el-Abbidine Ben Ali in Tunisia and Saad Hariri in Lebanon. While Mubarak and Ali were driven out of power by widespread popular uprisings, Hariri was ousted by the parliament. Caught off-guard by the initial wave of the Arab Spring in Egypt and Tunisia, the US and its allies struck back with a vengeance. They employed a number of simultaneous tactics to sabotage the Arab Spring. These included: (1) instigating fake instances of the Arab Spring in countries that were/are headed by insubordinate regimes such as those ruling Iran, Syria and Libya; (2) co-opting revolutionary movements in countries such as Egypt, Tunisia and Yemen; (3) crushing pro-democracy movements against “friendly” regimes ruling countries such as Bahrain, Jordan and Saudi Arabia “before they get out of hand,” as they did in Egypt and Tunisia; and (4) using the age-old divide and rule trick by playing the sectarian trump card of Sunnis vs. Shi’ites, or Iranians vs. Arabs. Thus, while losing three client dictators, the US and its allies have succeeded (so far) in preserving the three respective client states. With the exception of a number of formalistic elections that are designed to co-opt opposition groups (like the Muslim Brotherhood in Egypt) and give legitimacy to military rulers, not much else has changed in these countries. In Egypt, for example, the NATO/Israel-backed military junta of the Mubarak era, which now rules Egypt in collaboration with Muslim Brotherhood, has become increasingly as repressive toward the reform movement that gave birth to the Arab Spring as it was under Mubarak. Economic, military and geopolitical policies of the new regimes in these countries are crafted as much in consultation with the United States and its allies as they were under the three autocratic rulers that were forced to leave the political scene. The new regimes are also collaborating with the US and its allies in bringing about “regime change” in Syria and Iran, just as they helped overthrow the regime of Gaddafi in Libya. A third tactic to contain the Arab Spring has been the withering repression of peaceful pro-democracy movements in countries headed by US proxy regimes in Bahrain, Saudi Arabia, Jordan, and other kingdoms in the Persian Gulf area before those movements grow “out of hand,” as they did in Egypt, Tunisia and Yemen. Thus, in collaboration with its Western patrons, Saudi Arabia has over the past year cracked down viciously against peaceful protesters not only within its own borders but also in the neighboring country of Bahrain. Leading the invasion militaries of the Persian Gulf kingdoms into Bahrain last spring, the armed forces of Saudi Arabia continue with the support of Western powers to brutalize peaceful pro-democracy protesters there. “As state security forces across the region cracked down on democratic dissent, the Pentagon also repeatedly dispatched American troops on training missions to allied militaries there. During more than 40 such operations with names like Eager Lion and Friendship Two that sometimes lasted for weeks or months at a time, they taught Middle Eastern security forces the finer points of counterinsurgency, small unit tactics, intelligence gathering, and information operations – skills crucial to defeating popular uprisings. One of the tactics to crush the peaceful pro-democracy movements in the Arab-Muslim countries ruled by the US client regimes is to portray these movements as “sectarian” Shi’ite insurgencies. This age-old divide-and-rule tactic is most vigorously pursued in Bahrain, where the destruction of the Shi’ite mosques is rightly viewed as part of the regime’s cynical policy of “humiliating the Shi’ite” in order “to make them take revenge on Sunnis,” thereby hoping to prove that the uprising is a sectarian one. Cunningham further writes: “The targeting of the Shia is a tactic by the regime to distort the pro-democracy movement from a nationalist one into a sectarian one. It is also a way of undermining international support for the pro-democracy movement by trying to present it as an internal problem of the state dealing with ‘troublesome Shia’. In this way, the Bahraini uprising is being made to appear as something different from the uprisings for democracy that have swept the region” . In brief, the magnificent Arab Spring that started in Egypt and Tunisia in the early 2011 has been brutally derailed, distorted and contained by an all-out counter-offensive orchestrated by Western powers and their allies in the Greater Middle East, especially Israel, Turkey and the Arab League. How long this containment of democratic and national liberation aspirations of the Arab/Muslim masses will continue, no one can tell. One thing is clear, however: the success of the Arab (or any other) Spring in the less-developed, semi-colonial world is integrally intertwined with the success of the so-called 99% in the more-developed, imperialist world in achieving the goal of defeating the austerity policies of the 1%, reallocating significant portions of the colossal military spending to social spending, and enjoying a standard of living worthy of human dignity. In the fight for peace and economic justice, perhaps the global 99% can take a cue from the global 1%: just as the ruling 1% coordinate their policies of military aggression and economic austerity on an international level, so can (and should) the worldwide 99% coordinate their response to those brutal policies internationally. Only through a coordinated cross-border struggle for peace and economic justice can the workers and other popular masses bring the worldwide production of goods and provision of services to a standstill, and restructure the status quo for a better world – a world in which the products of human labor and the bounties of Nature could benefit all. 1. Michel Chossudovsky, When War Games Go Live. 2. See, for example, Dr Christof Lehmann, The Manufacturing of the War on Syria. 3. Dr Christof Lehmann, The National Counsel of Syria and US Unconventional Warfare. 4. 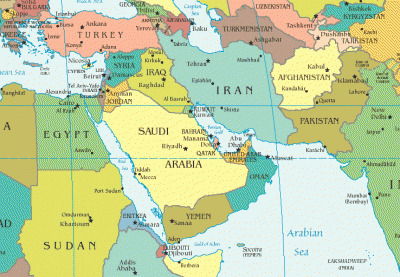 Nick Turse, Did the Pentagon Help Strangle the Arab Spring? 5. Finian Cunningham, Bahraini Rulers Play sectarian card in Bid to Trump Pro-democracy Movement. Ismael Hossein-zadeh is Professor Emeritus of Economics, Drake University, Des Moines, Iowa. He is the author of The Political Economy of US Militarism (Palgrave-Macmillan, 2007) and Soviet Non-capitalist Development: The Case of Nasser’s Egypt (Praeger Publishers 1989). He is a contributor to Hopeless: Barack Obama and the Politics of Illusion, forthcoming from AK Press.